The Nerd Reactor A Team has concluded our second tour de San Diego escape rooms. 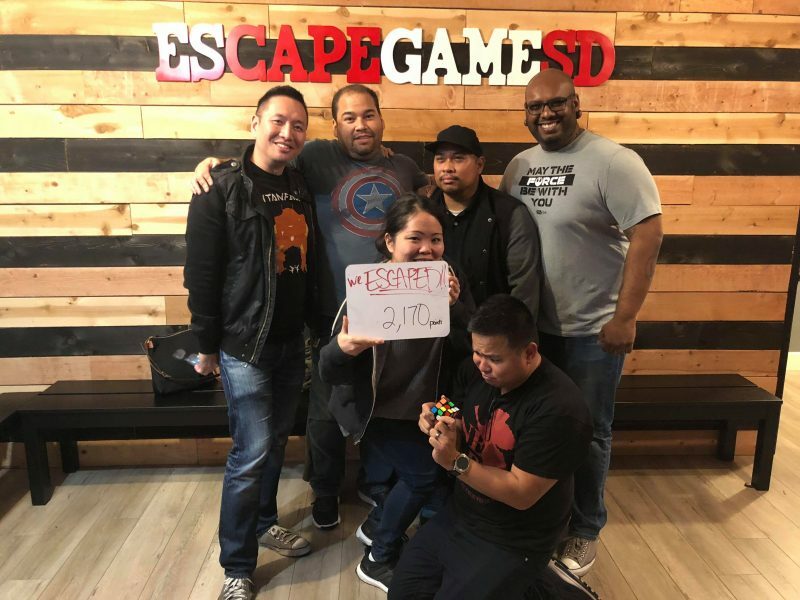 Fresh off our carne asada fries layover, the team scurried down to Hillcrest to visit Escape Game SD. They have 3 available escape rooms, but the room that we were invited to try out is called Japanese Thriller Room. Sounds pretty generic, but the name of the room is straight to the point. Japanese Thriller Room pays homage to many of the beloved Japanese horror movies that started ramping up in popularity since the release of The Ring and the Grudge in the States. Upon the start of our introductory video, our host, Lorenzo, was sure to point out that the events we were watching were real-life occurrences in Japan, and quite possibly actively lurking in the escape room re-creation. SPOOKY! The story of this escape room is that the players are to escape a haunted replica apartment belonging to a real-life serial killer Futoshi Matsunaga. He was part of a cult that manipulated its followers to kill and torture. Torture victims would be trapped for years in Futoshi’s apartment until their eventual death. The apartment building was reported to be high in paranormal activity until its demolition, which scattered the spirits of Futoshi’s victims without a home to haunt. Now, Escape Game SD has given these wandering spirits a new home in its recreated apartment of Futoshi Matsunaga. And they are also locking in up to 9 future victims inside. You are given one hour to escape the apartment using the clues scattered among multiple rooms, most of which are locked at the start. 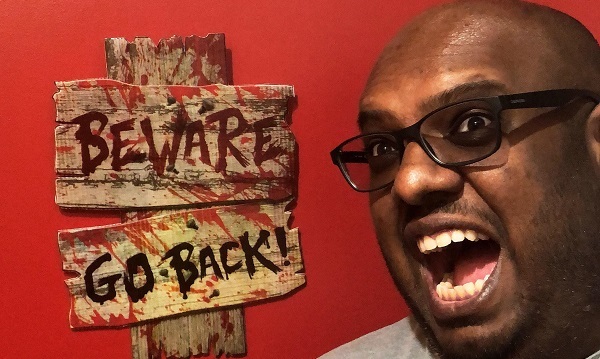 Our Nerd Reactor escape room team has an affinity for horror. There is something special about grown adults huddled in a corner with hands over their eyes waiting for impending doom. The horror theme for Japanese Thriller Room was alive and well since our entry into the first room. The setting is eerily accurate to a cramp Japanese apartment, and we were sure to check all out all the dark corners for lurking scares. Practically nobody in our group wanted to be left in a room alone. I have to say though that as the comfort set in and the puzzle brains were set to max, I was less and less affected by the scares. Also, scares were not exactly consistent throughout the puzzle journey, but definite kudos to a couple scenes that reminded me of my favorite “Ringu” moment. The design of the puzzles was made to be non-linear, which meant that multiple groups could work at the same time. Some of the solutions seemed a bit of a stretch where you found yourself wondering if you were counting and tallying things for no reason. We would eventually come together and solve all the puzzles, but still scratching our heads asking why. There were also bonus puzzles meant to add to your “score,” but I’m pretty sure that most groups will more often stumble upon these by chance rather than making a mission out of it. Overall, I recommend Japanese Thriller Room as a definite way to scare your friends. The set design itself makes a great ambiance that brings out an eerie feeling. Escape Game SD runs seven days a week with available times from mornings to late evening.